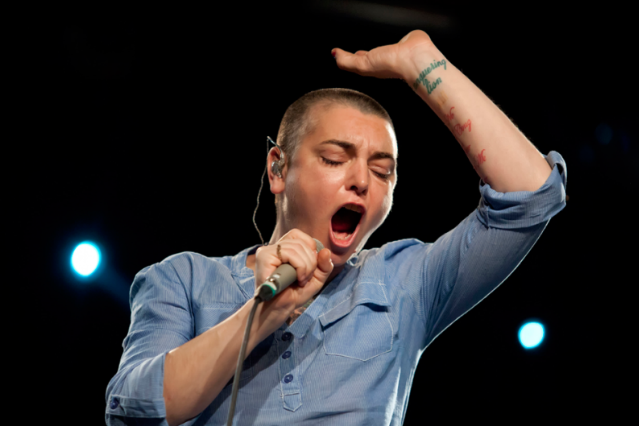 After a worrisome fall of 2011, during which Sinéad O’Connor tweeted sexually explicit and suicidal messages to fans, then married therapist Barry Herridge, had the union annulled 17 days later, and swiftly announced their reconciliation, the Irish singer appeared to be newly focused on her career. She put out her ninth album, How About I Be Me (And You Be You)?, in February and announced a full world tour to promote the disc, her first since 2007. But as CBS News reports, last night O’Connor posted a note on her website stating complications stemming from her mood disorder have forced her to cancel the remaining dates of her 2012 world tour. O’Connor told Oprah (and thus, planet earth) in 2007 that she suffers from bipolar disorder, which was diagnosed in 2003, and revealed that she had attempted suicide in 1999. Although she won’t be continuing her road trip, O’Connor said she will still attend the July 20 tribute concert for Curtis Mayfield at New York’s Lincoln Center. Whether she’s performing, however, remains unknown — while Mavis Staples, Kyp Malone, and Tunde Adebimpe are listed as performers, she is not. Read SPIN’s more light-hearted Inquisition with O’Connor from earlier this year, in which we discussed her new album, being a pro bono singing coach, and guys named Nigel.